Critical thinking. Problem solving. Teamwork. Competition. Enthusiasm. These are just a few things offered by an activity that is taking DeKalb County School District (DCSD) students at almost every grade level by storm: debate. 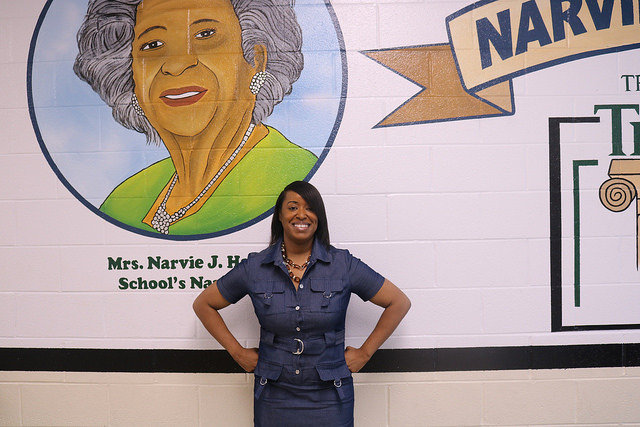 Just ask Latasha Bennett, Narvie J. Harris Elementary Theme School’s gifted specialist and debate coach. 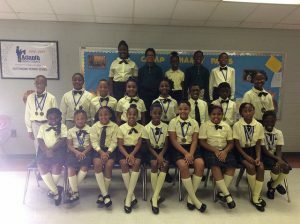 Her first-year team—made up of 29 fourth and fifth grade students—has blossomed into a group of students proficient in research, public speaking, and analysis. At debate competitions, students put their writing, public speaking, problem solving, teamwork, and critical thinking skills to the test against other local schools. Groups of three answer questions by providing an affirmative or negative response. Students are judged by their style, speed, tone, and overall demeanor. 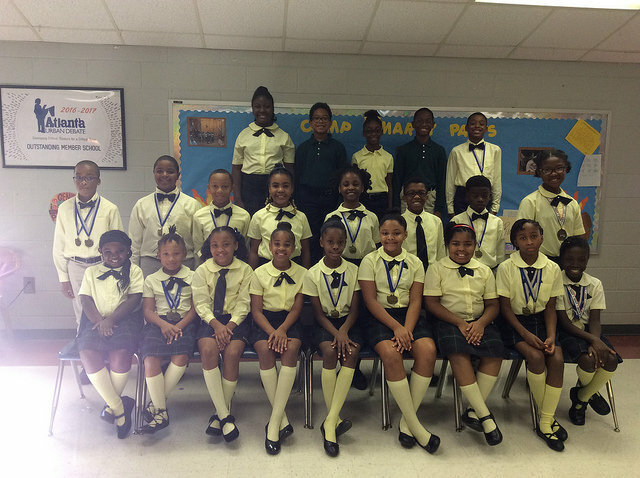 Narvie J. Harris’s team claimed victories in more than 60 contests across five competitions during the 2017-2018 school year. The team, which competes against schools from Fulton County, Atlanta Public Schools, Cobb County and beyond, was consistently recognized for their sportsmanship, as well as their overall ability when put under pressure. Such accolades have led to Latasha Bennett being named Atlanta Urban Debate League’s 2017-2018 Coach of the Year. She credits her relationship with students, their parents, and a genuine sense of care as the primary reasons for earning such a distinction. Bennett’s coaching style is simple: information first. She ensures students know the information by whatever means necessary, be it breaking it up into chunks, reading articles, highlighting articles, finding their articles—whatever it takes for students to grasp a concept. From there, students will draft speeches, practice speaking, and craft their arguments until they are perfect. According to Bennett, students grow to know what they need without her guidance. 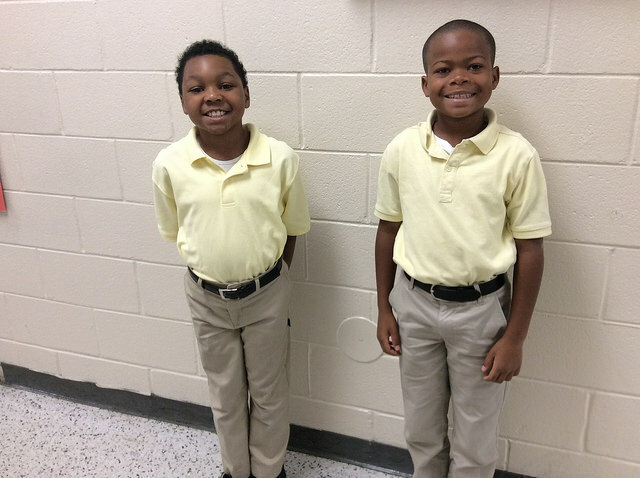 One student, Bennett recalls, was soft-spoken and shy at the beginning of the school year. By May 2018, parents were remarking how the student was “a beast” on the debate floor. Bennett’s secret as a 25-year educator is a healthy dose of the unfamiliar. “What I try to do is expose students to things that they’re not getting in a general classroom setting. This includes not just debate but also coding, a stock market game, and other extensions to lessons in regular classrooms,” Bennett said. Bennett’s main mission is to improve students’ writing, communication and presentation skills—a need she identified when she first arrived at Narvie J. Harris. As long as the debate team remains in place at the DCSD elementary school, she’s confident she can make an overall difference.